shouted Clyde Trabuchi, Director of Living Conditions at the National Institute of Statistics and Censuses (INDEC) at the time. She was facing her stunned subordinate, Director of Consumer Prices Graciela Bevacqua, the individual responsible for calculating the country’s inflation rate. It was the morning of Monday January 29, 2007 and the end of a month fraught with tension for the two women. That past weekend, infuriated by the high prices of lettuce, tourism and prepayments, Beatriz Paglieri, the newly appointed "superintendent" at INDEC and right hand woman to the then Secretary of Domestic Trade Guillermo Moreno, decided not to publish Bevacqua’s calculated rate. By the third week of January, inflation was already anticipated to be 2.1 percent, an intolerable increase for the beginning of a presidential electoral year, which Cristina Kirchner would ultimately win. The rate at which prices rose in January 2007, according to INDEC. A week later, Moreno’s official intervention formalized. On February 6, Decree No. 100 dismissed Bevacqua and appointed Paglieri Director of Consumer Prices. The day before, after forcing members of the Department of Computing to manipulate a public document, the government released its first distorted inflation rate: in January, according to INDEC, prices for goods rose only 1.1 percent. The official intervention of INDEC has become a symbol of the institutional degradation of Cristina Kirchner’s so-called "won decade.” It is not only a systematization of a lie told as “official story,” but also State persecution of employees who simply thought differently. This piece seeks to examine why a government that proclaims itself as "national and popular" decided to intervene a technical body and institutionalize lie as State truth, destroying valuable statistics and intimidating any opponents. In this regard, it is also a testimony of those who suffered threats or persecution and those who had the courage to resist. The decision to intervene INDEC was not based in purely economic needs, as per the government’s justification, but also a clear political intent. Presidential elections were scheduled for October 2007, and then-President Néstor Kirchner sought to induct his wife Cristina Kirchner. At that same moment, however, the country was experiencing an age-old Argentine problem: inflation. A year before the intervention, Moreno sought access to information protected by statistical confidentiality. With access to the classified list of businesses surveyed by INDEC, Moreno would know which businessmen he could pressure into price control agreements. The year Moreno published his first false inflation rate. At first, Moreno failed to get INDEC technicians to hand over the information he needed. However, he was far from giving up. With the help of Paglieri and the then Director of Human Resources at INDEC, Ana María Edwin, Moreno obtained the list of businesses and began falsifying data through multiple means. Computer specialists were ordered to create an automatic “ceiling” that would limit product price increases. Additionally, the product price agreements signed back in 2006 began to have more influence than those surveyed in the market by pollsters. Then, on February 5, 2007, INDEC published the first falsified inflation rate. At first the government justified the intervention of INDEC--it never really accepted it as such--as a tool to deflate the weight of the debt fixed by the Reference Stabilization Coefficient (CER), a coefficient linked to the consumer price index. According to the government’s official story--never formally denounced in court--the employees displaced from INDEC were plotting with creditors to raise the inflation rate and improve the profitability of their bonds. Government officials even went so far as to say without any hard evidence that insider information was being sold to the market. Another official allegation was rooted in the alleged “inconsistencies” in some of INDEC’s data collection processes and in the consumer price index’s various subsets. These allegations were called into question when Moreno and Paglieri appeared before court. That argument was derived in official proclamations claiming that methodological changes were required to make statistics less technical and better suited to the goal of creating a "national and popular government." Initial questions surrounding the intervention of INDEC related to the high price increases for specific products. However, after Bevacqua’s displacement from Director of Consumer Prices, Moreno began a more sophisticated process of statistical distortion that occurred along three axes. Thirdly, Moreno obtained access to INDEC’s legally protected list of business informants. Various testimonies given to Justice said that Paglieri, right hand woman to Moreno, photocopied the secret list and transported it in boxes to the office of the Secretary of Internal Commerce. This led businessmen to use the term “Moreno price” every time they were approached by an INDEC pollster. This is how Moreno externally manipulated the official index. INDEC is, strictly speaking, a large statistical system. Each calculation functions as an input for another. Once the inflation rate was manipulated, the distortion expanded--first to rates of poverty and indigence, which were later suspended, and then to the Gross Domestic Product (GDP), which became overestimated. 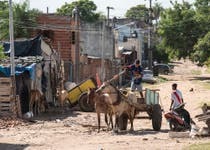 Various ideological sectors claimed that by omitting the poverty rate, INDEC hid the situation of millions of poor people. 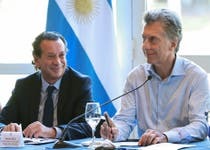 On the other hand, the opposition complained that the overestimation of the GDP resulted in Argentina paying more debt for bonds tied to economic growth. Problems expanded rapidly to other sectors of INDEC after the initial manipulation of the inflation rate. 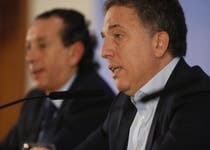 The public scandal caused by the intervention of INDEC led to several opposition senators denouncing the case before the District Attorney in the National Prosecutor's Office for Administrative Investigations (FIA), headed by Manuel Garrido. After two months of surveying and interviewing dozens of witnesses, Garrido concluded that there had been "grave irregularities" at INDEC. The following interactive PDF guide highlights Garrido’s keys findings. Garrido’s work was later taken up by prosecutor Carlos Stornelli, who asked Judge Rodolfo Canicoba Corral to take the necessary measures to advance the INDEC case. It still remains dormant today. To understand the entire history of INDEC, it’s essential to get a clear sense of what happened during 2007, the first year of official intervention. During this time, Moreno dismissed important directors, recruited his so-called "gang" to take over the institute, and refined the complex processes that distorted the statistical system. Despite complaints from workers at the Ministry of Economy and her electoral promises of a reformed institution, newly elected President Cristina Kirchner decided that nothing would change in INDEC: the path that her husband and Moreno had paved would continue. Violence, something previously unheard of in INDEC since its founding in 1968, became commonplace in 2007. The minority Association of State Workers (ATE) objected the data manipulation and dismissal of workers. For this reason, ATE clashed with the Union of Civil Personnel of the Nation (UPCN), the Peronist trade union and the majority, a group Moreno leveraged during his initial takeover. INDEC’S then Director of Human Resources, Ana María Edwin, was key to gaining UPCN’s support. Edwin’s loyalty to Moreno would lead to her later appointment as head of INDEC. Violence towards INDEC workers varied in its forms. Many were displaced or fired, some were forced to retire, and others were removed from their tasks, their workplace, or withheld from varying amounts of their salary. On the contrary, many who supported Moreno benefited from job promotions. On several occasions, ATE-INDEC workers were subjected to violence at the hands of Moreno’s so-called "gang.” They were beaten in assemblies in the agency’s central building and at the Ministry of Economy, and repeatedly saw damage to their internal office on the tenth floor of INDEC. Marcela Almeida’s situation was representative. She was displaced from her role as Coordinator of the National Consumer Price Index (CPI), the index that first suggested the manipulation of the consumer price index for the Greater Buenos Aires Area (CPI-GBA). 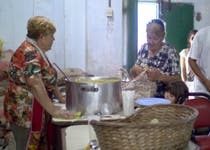 Almeida was relieved of her tasks but ended up staying in her position for a full year without salary until the courts ruled in her favor and forced INDEC to return her to her position with the same pay. But INDEC did not entirely comply with the ruling. The distortion of official statistics and the persecution of workers opposed to the intervention resulted in the birth of traditional "abrazos," or hugs, to the INDEC building’s façade, organized monthly by ATE. Their slogan--"Out with the INDEC gang!" ATE’s slogan is "Out with the INDEC gang!" The struggle of the persecuted INDEC workers continues today. It's a battle that has lasted eight years with varying intensity and despite the fact that there are several ideological currents within ATE. However, despite the violence exerted against them, they still resist. 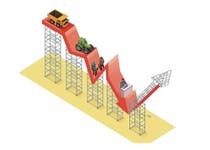 Argentina's economy was left without anything to anchor or orient it. Economic actors, the media, trade unions, and academics, among others, began to look for new sources of valid information. Alternatives started to emerge--first some provincial statistics institutes (Mendoza and San Luis, then the city of Buenos Aires), and then private consulting firms. Despite government criticism towards independent economists calculating their own rates, Moreno was the one who made the new business of producing basic data possible. Thirdly, a few research centers began to participate, such as Buenos Aires City (headed by Graciela Bevacqua) and Cenda, where Axel Kicillof promoted another alternative rate to the official one. Moreno and his team sought to silence the economic consultants. Private economic consultants were accustomed to using the basic inputs surveyed by INDEC to construct simulations they then sold to their clients. The lack of trust of official statistics led several such consultants to build new teams of experts to go out and collect their own data. Moreno and his team sought to silence these consultants. He tried to fine several of them but lost the battles in court. To stop this trend, Moreno's mafia tried to silence the private consultants through large fines, but ultimately lost to the justice system. Members of Congress decided to take the average of the alternative indices and publish them under the protective name, IPC-Congreso. Finsoport, the consulting firm headed by Jorge Todesca, was one of the firms Moreno pressured through large fines. Todesca, Deputy Minister of Economy during Duhalde’s administration, appealed the fine to the Administrative Contentious Court. The Chamber ruled in his favor and reversed Moreno’s order. The situation led several economists to file a complaint of abuse of authority against Moreno, which is still being processed. The private consulting firms calculating alternative rates to INDEC’s suffered political repercussions. Consequently, after Moreno’s attempt to silence them, opposed members of Congress decided to take the average of the private indices and release them under one name to protect the consultants’ identities. And so the IPC-Congreso rate was born. All of the private consultants and even the ATE workers agree that the most qualified institution to calculate inflation, GDP, poverty, and unemployment is INDEC. They therefore recognize the limitations of their own measurements. However, they assert that, when faced with the lack of reliable information, there must exist alternative measures more realistic than those published by INDEC. In 2013, Kicillof’s management decided not to publish how many poor and homeless people there are in Argentina. Inflation was not the only thing to suffer distortion. In mid-2007, when the government intervened the Permanent Household Survey (EPH) department, the official rates for poverty and indigence were also questioned. The distorted price data from the Consumer Price Index was one of the most important inputs for calculating these rates. The most recent data regarding poverty and indigence was released at the end of 2013. That was the year when, due to “technical problems," Kicillof’s management decided to pull the poverty and indigence rates from further publication. In 2008, the universities took a more active role in remedying the INDEC situation. That was thanks to a decree of the then Chief of Staff, Sergio Massa, who met with several universities at the Academic Council of Evaluation and Monitoring (CAES). The research teams presented a report in 2010 in which they stated that the official CPI was "not reliable" and called for an "urgent reform" in the institution. The then Economy Minister, Amado Boudou, never received this document. However, thanks to the efforts of some professors at the University of Buenos Aires (UBA), including Nicolás Salvatore, Buenos Aires City was developed in March 2009 as a center of studies seeking to fill the CPI-GBA role led by Bevacqua, the first displaced INDEC worker. After the public scandal following the intervention of INDEC, mistrust expanded to all official numbers. Moreno had taken a statistics body, which was previously a model in Latin America, and dismantled it piece by piece. The manipulation had multiple consequences. Firstly, Argentina was left without reliable statistics for planning public policy and society no longer had access to the information that was crucial to interpreting their reality. The decision to not publish the poverty or indigence rates, for example, resulted in the concealment and disappearance of millions of poor people from public consciousness. Without objective data, all contracts were subject to the negotiator’s whims. Today, every union manages its own inflation data to decide on wages in collective bargaining decisions, it is difficult for tenants to know whether an increase in rent is justified or not, and it is impossible for a divorced mother to establish a way to prove the amount of child support she is owed, among other examples. Argentina was left without reliable statistics to create public policy. The intervention of INDEC created a gap in public data that extends from 2007 to the present day, and complicates the work of academics and universities. It is a void that will probably never be corrected due to the lawsuits it would prompt. The rest of the world has also begun to doubt Argentina’s data. In its reports, the International Monetary Fund (IMF) has emphasized local criticism of the official price index and GDP calculation. The prestigious magazine The Economist left Argentina out of its global competitiveness index (in February 2012, it even decided not to publish official statistics and still refuses to do so). 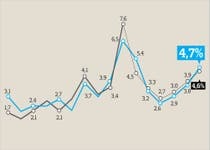 Argentina was criticized by several other statistics bodies at the global level. The government, in search of new debt, asked the IMF to help reforming its inflation rate, something only African countries have done before. In early 2013, Argentina was the first country to ever have its statistics censured by the IMF. The IMF issued a warning that, if the rates were not improved, the country could face expulsion. The Argentine case is still under review and the IMF has not yet reached a decision as of today. Argentina’s reputation collapsed. One main consequence of the country’s lack of statistical credibility was the withdrawal of foreign investments, a problem that escalated after the restrictions on the foreign exchange market and the inability to repatriate dividends. This situation, coupled with an energy crisis, led to a major shortage of foreign currency. INDEC did not miss any opportunities. In 2013, according to several private consulting firms --based on INDEC data--the government began artificially inflating local exports in its official reports in order to disguise the increasingly weaker trade balance and lack of currency. Last year, the government intervention was additionally complicit in the liquidation of State workers’ wages (especially those of teachers) and pensions. In 2014, the year in which Kirchner imposed an adjustment, INDEC concealed the first decrease in wages, despite the creation of a new inflation rate developed to appease the IMF. In 2014, the government tried giving its statistics a makeover--it launched a new national price index, CPI-Nu. Although CIP-Nu initially produced some hopes of change, the gap between INDEC and the private and provincial agencies started widening again with time. INDEC did not publish the average surveyed prices nor the methodology behind their newly configured food baskets. According to experts, in the last months of 2014, the government amended the survey methodology in order to give greater weight to the official price-watch program called “Precios Cuidados”--agreements with companies--in the measurement. This sought to freeze the rise in the official inflation rate. No one knows what the rate of inflation is in Argentina, and as mentioned earlier, the official poverty rate has disappeared completely. Meanwhile, the latest questionable data refers to the unemployment rate. 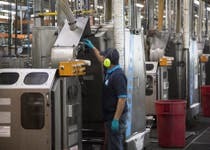 In a country in recession, jobs are lost but unemployment does not rise because people, according to INDEC statistics, voluntarily choose to leave them, a statement that labor market experts oppose. In times of low reserves and a lack of dollars, uncertainty has recently spread to the official report on the Argentine Commercial Exchange (ICA). There is a broad consensus for the need to reconstruct INDEC. An overhaul is even requested, albeit in whispers, among some sectors of the governing party. It seems clear that, no matter who wins in the presidential election of 2015, we are fast approaching the end of a cycle that symbolizes the final chapter of the darkest era for Argentina’s public statistics.